Enjoy the top 18 famous quotes, sayings and quotations by Whitney Cummings. I did some pretty embarrassing modeling, like catalogs and QVC. I know there's probably a stereotype where all pretty girls think they're unattractive, but modeling is the worst thing for your self-esteem, because you're never pretty enough, you're never thin enough. I was joking the other day about how my real life feels like a TV show, and my TV life feels real - because, to be on Thursday nights on NBC, which is what I grew up with, has been such a big part of inspiring me. To be part of that tradition is really completely surreal, and I'm so grateful. I have so much to be thankful for. I work with the most amazing people, get to make people laugh for a living and have the most amazing friends. But, I am mostly thankful for Spanx. Why do all balls look like they're 150 years old? Want to see more pictures of Whitney Cummings quotes? 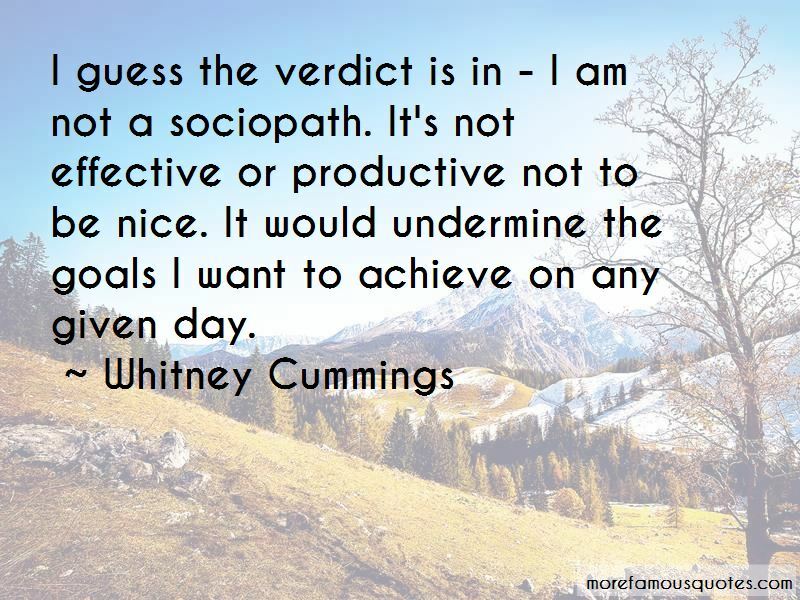 Click on image of Whitney Cummings quotes to view full size.